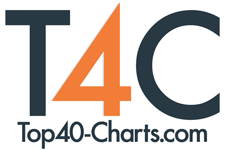 New York, NY (Top40 Charts) With 49 available charts on our site, crossing regions and music genres, you are probably only interested in a few of them. We are glad to announce a new feature for our registered users; Following Charts. This is just the beginning of this as we will be adding the option to follows artists and songs as well. The feature is available as beta for your paying members and will be released to all members in the coming weeks. (Edit: the feature is now available to all users!). If you feel like testing it now, you can sign up at the Members page! Roberto Carlos Returns With A Historic Tour Of The United States To Present His New Album "Amor Sin Límite"
Listen To Kelly Clarkson Belt It Out In The Trailer For The New Musical Film "UglyDolls"
"Singing You Home," Featuring Audra McDonald, Lin-Manuel Miranda & More, Reaches #1 On Children's Album Charts!